Turkish Cypriot leader Mustafa Akinci announced on Wednesday that a decision had been made to allow Maronites to return to all their villages in the north of the island. Akinci’s office said it is working with other civil and military authorities together with the Turkish embassy in the north to coordinate works which will allow access to Maronite and mixed villages where Maronites and Turkish Cypriots used to live together. Ayia Marina, Asomatos, and Karpashia are the three Maronite villages controlled by the Turkish military since 1974. Ayia Marina and Asomatos are currently totally off limits, while Karpasha is also under military control but residents are allowed to live there. The fourth Maronite village, Kormakitis, has no such status, and it is far easier for its residents to resettle there if they wish. Following the 1974 invasion, Maronites coming from these four villages opted to remain there as enclaved persons, though this was not allowed for Ayia Marina and Asomatos. At the moment, around 200 Maronites, mostly pensioners, live in Kormakitis and Karpasha, of which 100 resettled there recently following a new support scheme announced by the Republic of Cyprus to encourage the enclaved to return to their villages in the north. 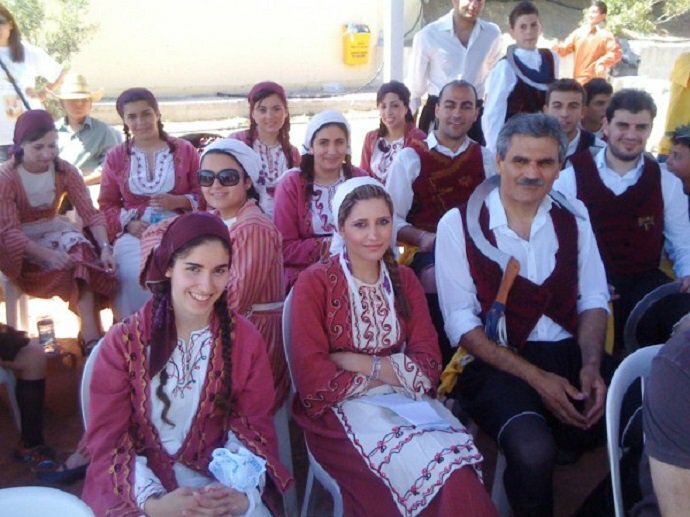 Maronites, along with Armenians, and Latins (Catholics) are considered religious groups, part of the Greek Cypriot community. The Maronites in Cyprus migrated from present-day Lebanon during the Middle Ages. They traditionally speak their own variety of Arabic in addition to Greek. As Eastern Catholics of the West Syrian Rite, they are in full communion with the Catholic Church of Rome. Wednesday’s announcement follows reports earlier in the week that the authorities in the north would allow the return of 16,000 refugees to the fenced city of Varosha, in Famagusta and 4,000 to Ayia Marina, Asomatos and Karpasha.